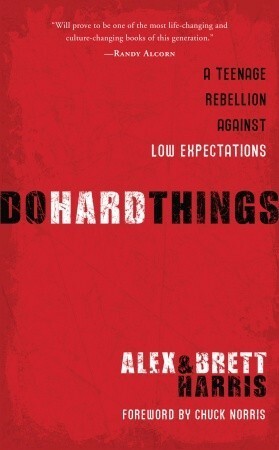 This is an excellent book for both teens and adults. It was practical, demanding and encouraging. I think I appreciated the section on the Myth of Adolescence most. I always wondered where history shifted from youth that accomplished much (John Adams, farmer, at Harvard at 16) to the modern goof-off teenager. We do indeed have low expectations of teens, in general. I wish I would have had this book in my teens, with the support network available via (at the least) through the internet. I don’t think I would have wasted so much of my life. Both my wife and I have read this, and I have given it to my almost 15-year-old daughter. I am looking forward to hearing her thoughts about the book. All she has is this current culture of adolescence to learn from. But just this evening, she was telling me how much she was dreading her basketball practice tomorrow and all the running they would be doing. I told her she is focused on the wrong thing. She needs to lift her eyes to her tournament in two weeks and see how stronger she will be. You have to look to the future to see the value of hard work today. Having admitted that all the “suicides” in practice have helped, I could tell she thought I was right. I am hoping this will give her more perspective on the value of doing hard things, rather than just Mom and Dad telling her it’s important. This entry was posted in Culture, Education and tagged Do Hard Things, low expectations, teenagers.